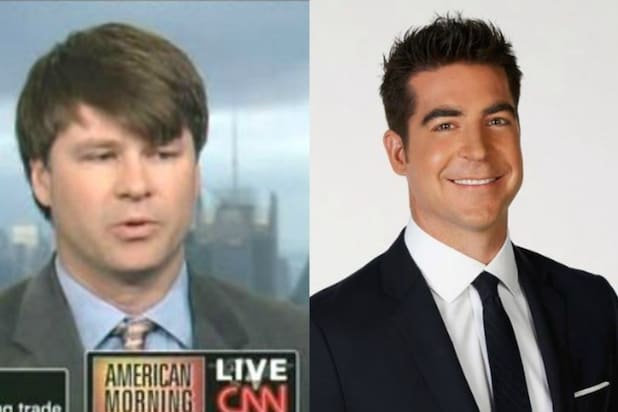 Fox News host Jesse Watters and Huffington Post Washington bureau chief Ryan Grim got into a physical altercation at MSNBC’s White House Correspondent’s Dinner after-party Saturday night. “Punches were definitely thrown,” a witness told The Washington Post. Grim and Watters don’t have a personal relationship but the beef apparently goes all the way back to 2009, when Amanda Terkel wrote a column about getting “harassed” and “ambushed” by Watters, according to the Post. Terkel is now a HuffPost colleague of Grim’s, who reportedly took out his camera phone and attempted to record Watters at the MSNBC party. The Fox News host didn’t appreciate the action and reportedly snatched Grim’s phone. When Grim tried to retrieve it, the altercation began. Republican National Committee executive director Sean Spicer helped break things up, according to the Post. Ironically, the altercation took place at the U.S. Institute of Peace building.